Season offers available, up to 40% discounts! The fastest way to learn about PMT. Check out our videos and faq sections. 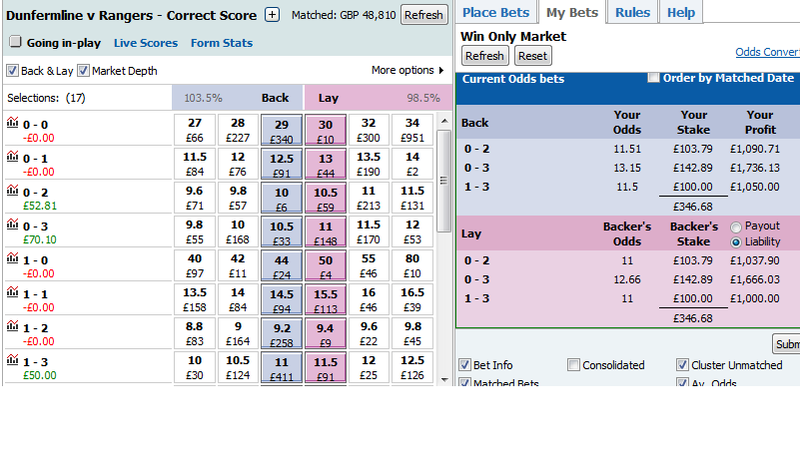 How would you like to profit before a football match starts? Before a ball has been kicked? Before the teams come out of the tunnel, before even the team news has been released? 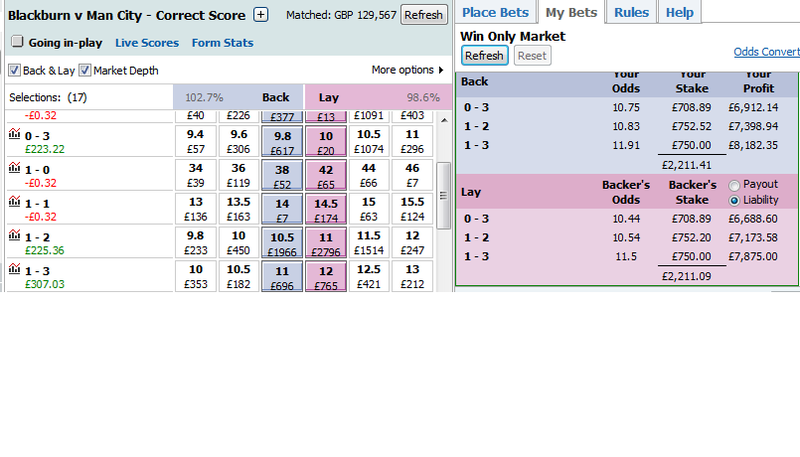 Our prematch trading tool nicknamed PMT can do exactly that on the trading exchanges like Betfair/Betdaq. 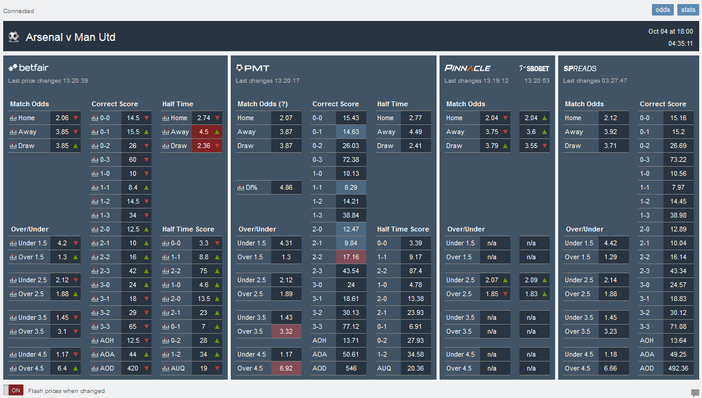 PMT is a football markets model based on probability theory and statistics. 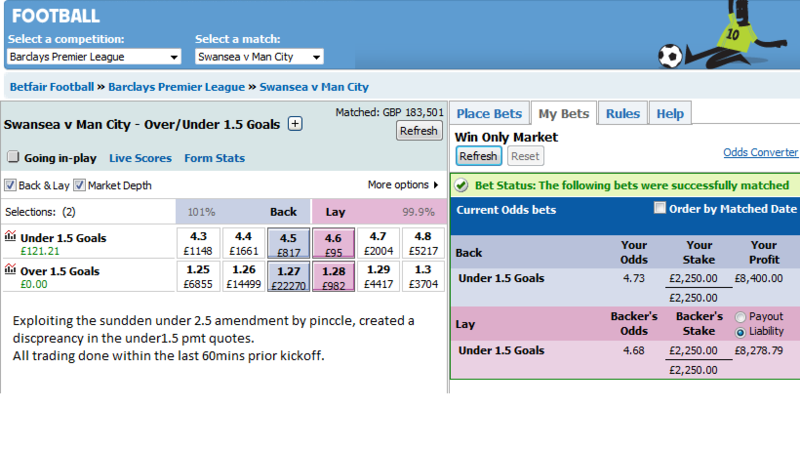 For ease of use PMT calculates all games for the day automatically. 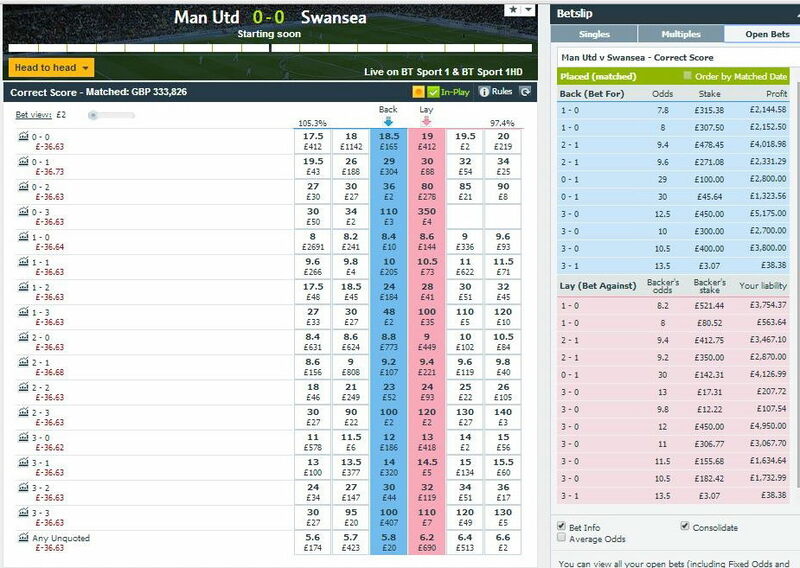 Our automated games show prices on Betfair, Pinnacle as well as spread companies, Betfair graphs and price movement indicators, links to stats and bookie prices. 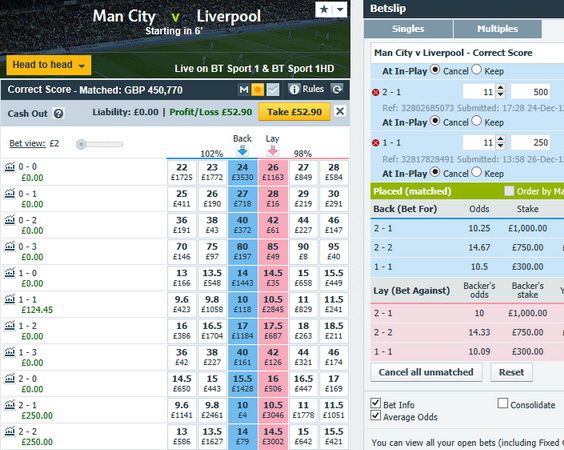 We also provide a manual page where any other game can be set up to find potential trades to jump on. Members will be able to capitalise and take advantage of misaligned prices in markets like the correct score, 1.5 to 4.5 under/overs and other markets, (check FAQ for more details). 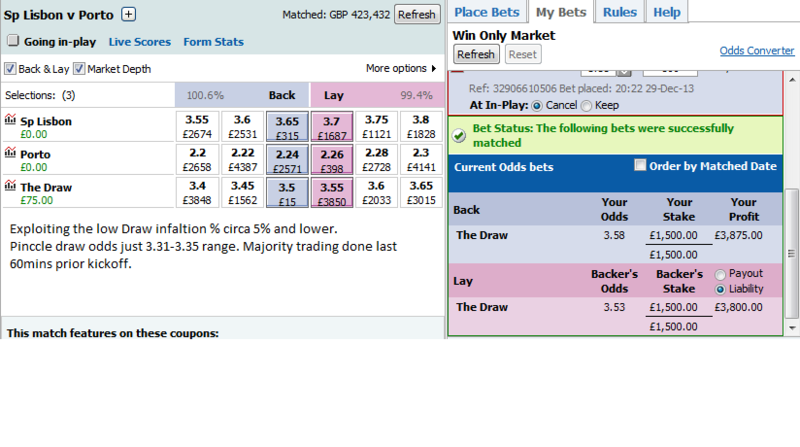 There have been various upgrades over the years and one of the biggest is the Draw Inflation tool which finds games to trade via the match odds based on a high or low Draw Inflation %. 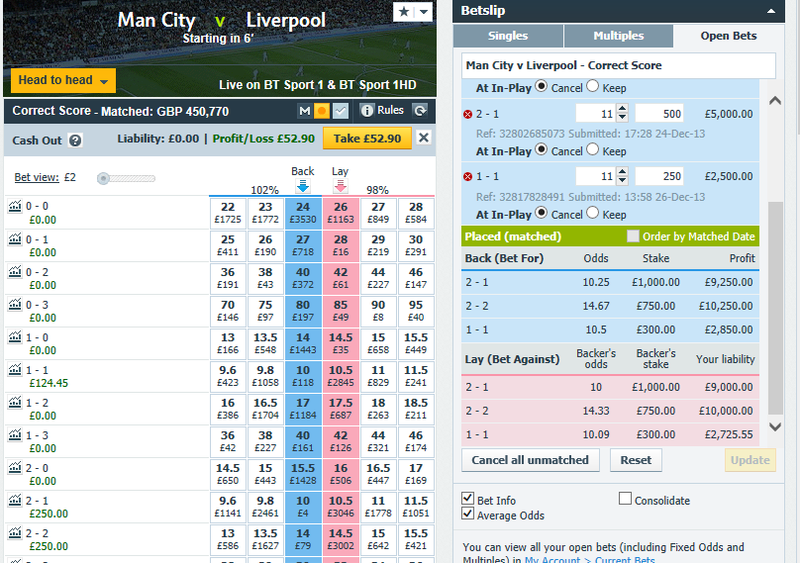 Thus providing even more money making trades! There is no alternative to PMT on the internet that we know about. 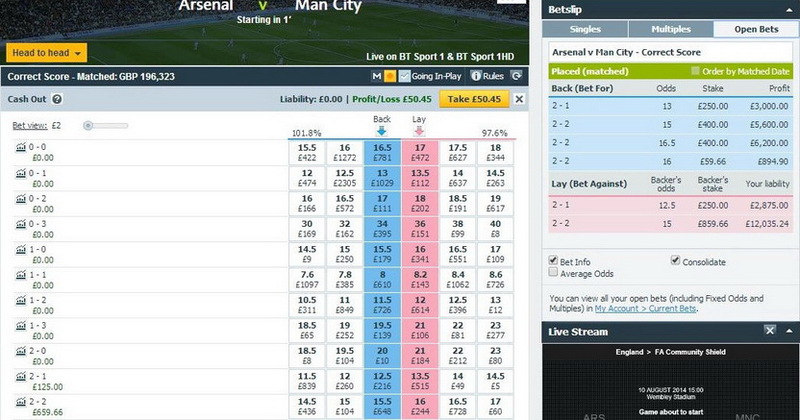 Bookmakers may well have their own products. 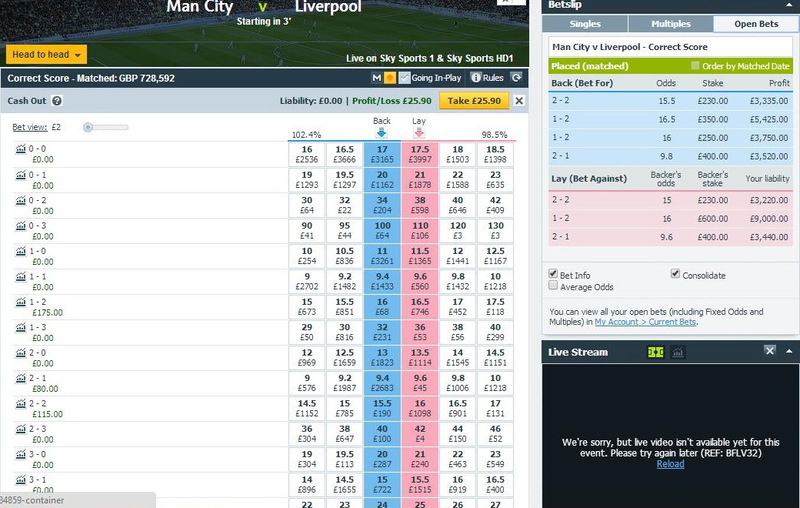 A better understanding of how football markets are related to each other, ways to trade more than one market and offset profit/loss for an overall green outcome in most games. During the season we email out ‘advice’ 2 to 4 times a week on games we spot misalignments and reasons why we believe a price will change/is wrong. We focus on high liquidity games. Tutorial videos and email support are also on hand and emails are always answered quickly. 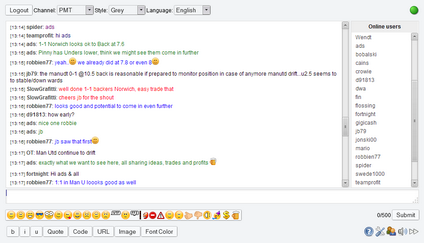 We have an integrated chatroom where professional and senior traders are on hand to help and advise the newer traders in the group. Considering there is no competition, for the moment, we feel our pricing is more than reasonable. Due to the increase in numbers on exchanges over bookmakers and so many games and markets from England to Germany, Spain and Italy offering excellent liquidity the tool can be used as little or as often as the subscriber wants. By subscribers and independent reviewers. PMT was launched in 2011 after extensive testing via subscribers on another site. 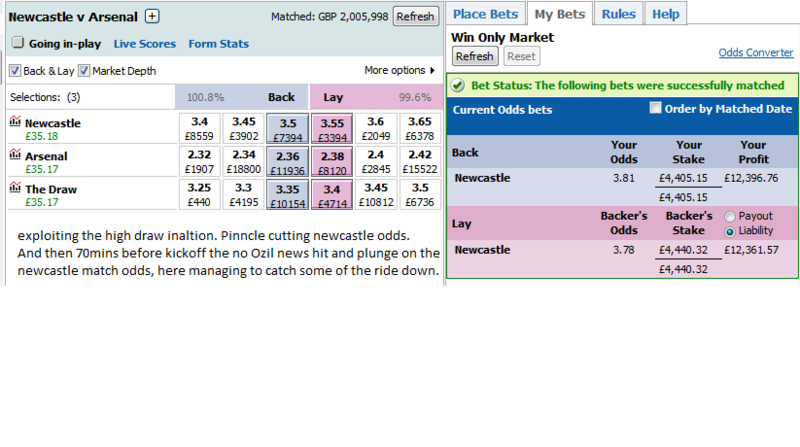 The results were extremely favourable and PMT was born. 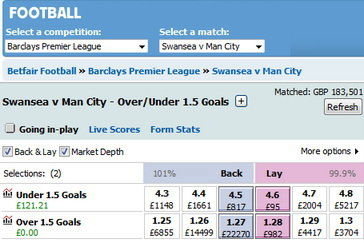 Eight years on and still the only site which allows profits to be made before a ball is kicked. As the service has grown many aspects and upgrades have been made making this a powerful addition to one's trading armoury.